Swansea City and Manchester City will play their thirty-seventh game of the Premier League season at the Liberty Stadium on Sunday, 17th May. The teams played last in November 2014 and Manchester City won the game 2 – 1. Before that they played in January 2014 and Manchester City won the game 2 – 3. At present Swansea City is eighth in the league with 56 points having won 16 games, drawn 8 and lost 12. They are one point below Southampton. Manchester City is second in the league with 73 points having won 22 games, drawn 7 and lost 7. They are three points above Arsenal but have a game in hand. 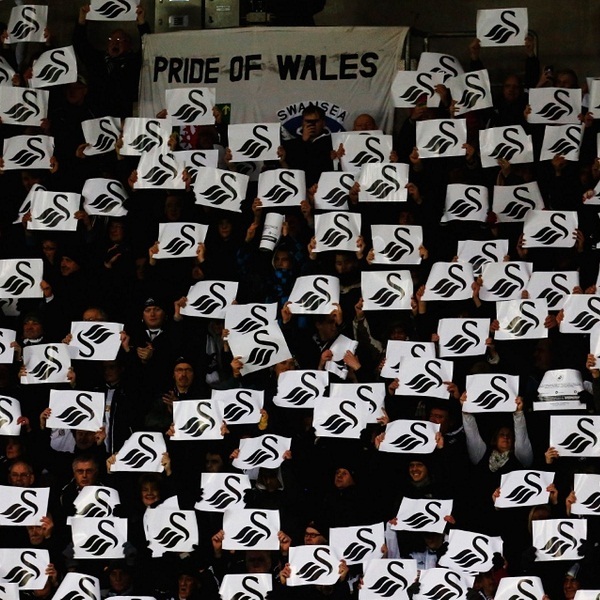 Swansea City: Fabianski, Rangel, Fernandez, Williams, Taylor, Ki, Cork, Shelvey, Dyer, Sigurdsson, Montero. Manchester City: Hart, Zabaleta, Demichelis, Mangala, Kolarov, Fernando, Fernandinho, Milner, Lampard, Silva, Aguero.